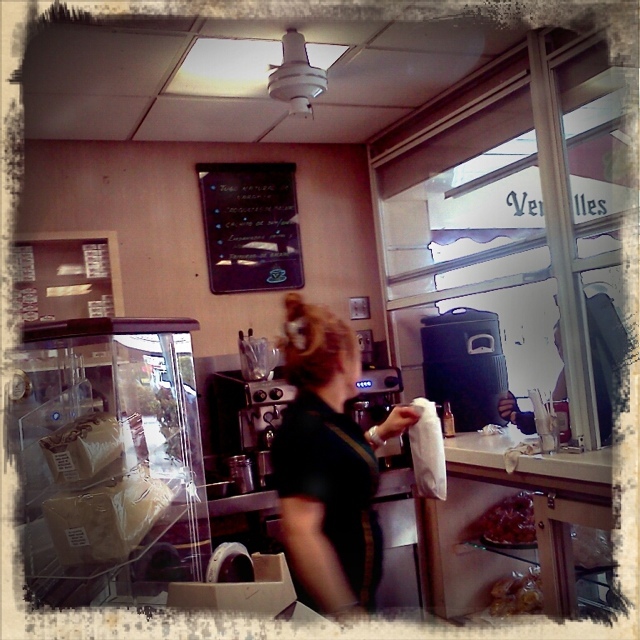 I woke up this morning dreaming of cafe con leche at Versailles in Miami. We spent a fantastic weekend in Miami a few weekends ago and stopped here to fuel up before exploring art in the Winwood Art District. I took this picture on my droid phone using the retro camera app to give it a LoFi look that reminds me of the Polaroid transfers we used to do in the analog film days. I love the ability to grab quick and spontaneous photographs on the go.